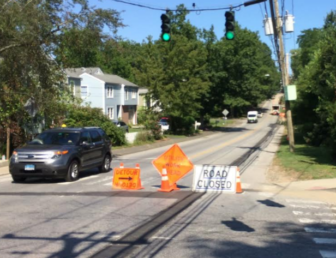 About 40 percent of the Yankee Gas natural gas expansion project in Darien is complete, town Public Works Director Edward Gentile says, and service should be turned on soon as far east as the Noroton Heights Fire Station, but roads will continue to have temporary paving patches until sometime after July 1, 2020. A stretch of West Avenue, east of its intersection with Edgerton Street, closed on one side earlier this month as a utility crew worked. Repaving the roads will wait in order to give time for residents along the gas-main routes to decide whether or not they want to hook up to gas service, Gentile told the Board of Selectmen on Tuesday. “We have an 18-month ‘sabbatical,’ if you will, for paving the roads to allow them [Yankee Gas, a subsidiary of Eversource] to tie in new customers, so it won’t be done the next budget cycle [2019-2020]. It will get done the following one [2020-2021] — so 2020,” he said. “Their temporary [paving] restoration right now has to be pristine, because I need to hold on to it for a while, so they’ll be going back and cutting some of the stuff [pavement] now and fixing it,” he said. When a homeowner decides to get natural gas service, pavement will be broken in order to hook up a line between the house and the gas main. Paving season is in the warmer months, however, and the town paves roads just after the fiscal years begin, in July. 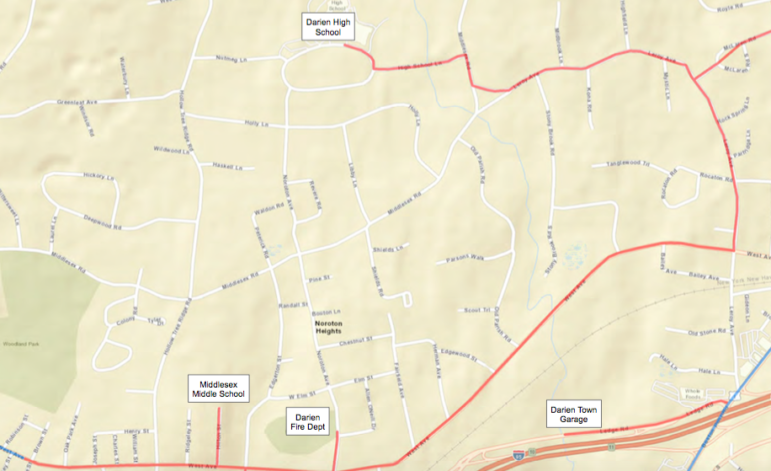 The new gas mains follow West Avenue from an area just west of the intersection of West Avenue and Brown Street to Leroy Avenue, and then from Leroy Avenue to High School Lane. Other streets include all of Ridgely Street, McLaren Road and a short stretch of Noroton Avenue between West Avenue and Noroton Heights Fire Department. Not shown here: Gas mains will also be installed under all of Greenwood Avenue and then north on Hoyt Street to the New Canaan border.